Designed with crafters in mind, the Sidekick and Me Craft Bag is large enough to hold the Eureka or the Eureka 101. With interchangeable compartments, it makes a handy storage solution for more than just the Eureka tools, enabling you to take your craft essentials to and from the home, with ease. It features 3 internal main compartments with detachable inserts offering flexible storage options, and additional internal pen and accessory pockets. 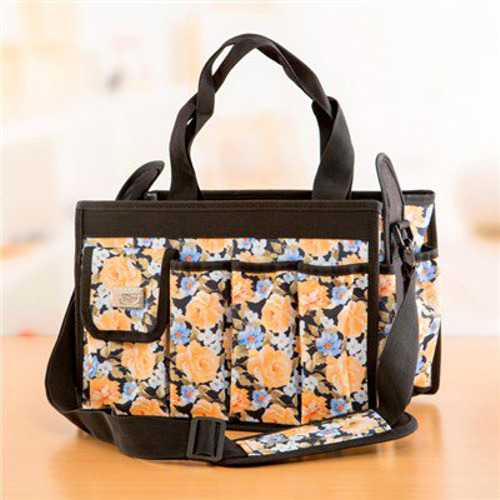 Practical and stylish, it has an on-trend floral print and is complete with an adjustable shoulder strap with padded cushion support. With the Sidekick and Me Craft Bag, you can truly travel in style. 7 external pockets measuring 2.5" wide x 6" deep.